What's that you say ? Get high without drugs ? Pfffftt ! You must be joking ! While it's fair to say that quite a lot of people in the psychedelic music scene have or currently do enhance their lives though the use of psychedelic drugs there are also a number of people for whom such drugs hold no appeal for their own personal reasons. One of the most common reasons is that some people simply grow tired of using drugs because of the associated down that comes after the high. 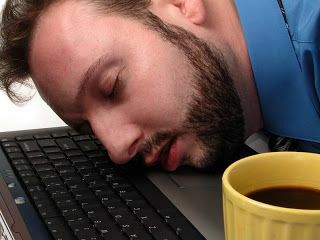 Did you ever experience that exhausted feeling one has Monday morning after tripping all weekend ? That can add up after time and cause people to seek more natural psychedelic alternatives that have fewer after effects. So with that in mind I thought it might be nice to share some of the current methods to get high without drugs. That is to say, how to make yourself hallucinate in a more natural way. There are many web pages devoted to the causes of hallucinations and getting high without drugs ( LSD, MDMA etc) but these tend to focus on obtaining a feeling of euphoria such as one experiences after intense exercise. What I want to concentrate on in this list is the visual high that comes with the psychedelic experience and if it can be obtained without psychedelic drugs. Should you be concerned about the effects of hallucinations then I suggest reading about them further at my hallucination help blog. The use of light to have a hallucinogenic experience is an idea which is growing in popularity. For some people, being subjected to a series of repeating flashes of light is enough to induce a psychedelic trip. There a number of companies which offer products that allow you to attempt this at home. These devices are typically constructed of a pair of goggles in which there are a number of small LED lights which are set to flash off and on at a particularly frequency level. They are often sold under names like "mind machines", "dream makers" and other such terms that make you leave your wallet firmly in your pocket however recent scientific research and an increasing amount of user feedback has been giving weight to the argument that these machines do in fact work. Devices range from the cheap and simple to the quite exorbitant depending on the materials and technology involved. One of the more recent devices to be making a splash is the Lucia no. 3 developed by a couple of Psychologists and neuroscientists. 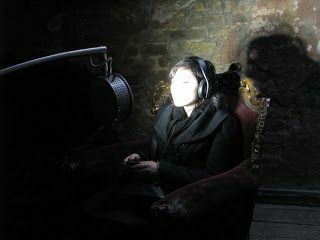 It uses stroboscopic lighting techniques to activate your pineal gland which in turn produces visions not unlike a psychedelic trip. Dance has even used by humans for thousands of years to allow us to enter a trance like state and cross over the bridge into the spirit world. Native cultures such as the Australian Aborigines, African tribespeople, Sufis and American Indians have utilized the power of dance to make contact with the spirits as they enter a world of vivid color and surreal architecture and archetypes. Breath control and meditation have long been used by many cultures in Asia as a means of clearing negative thoughts, finding inspiration, spiritual enhancement and becoming more self aware. Now that such practices have become world wide it is easy to find a teacher who can guide you on the meditative path. I wouldn't suggest telling your teaching you are only interested in meditation in order trip balls though. Many people who practice insight meditation have reported experiencing hallucinations. From simple shapes and colors such as one might see on a low LSD dose to full on "out of body" experiences where entire characters and environments are formed and interacted within. Nobody knows for sure why it happens and the suggested reasons put forth by teachers, yogis and even Buddhist masters differ just as much as the visions reported. 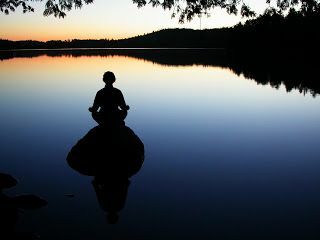 Some people have said that unexpected visionary hallucinations while meditating have caused long term psychological issues so it would be wise to do as much research on the topic before you dive into the deep end. I have had an interest in sleep deprivation and hallucinations since I read an Aldous Huxley essay on the subject as a teenager. It was some years later when, after a particularly busy weekend, I experienced some of what Huxley mentioned all those years before. I had not slept for close to three or four days. 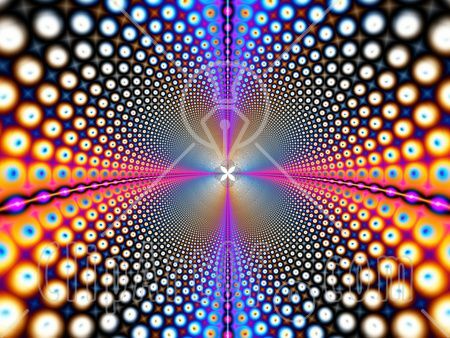 Suddenly I began to have audio hallucinations ( hearing things that were not there ) and began to see waves of colors and geometric shapes. I fell asleep and woke about 20 hours later ! For most of us dreaming is a pleasant and surreal excursion during sleep in which our brain processes the thoughts, ideas and emotions we experience during our waking life. A kind of cerebral washing machine of you like. Generally speaking dreams are unhinged and out of our control. No matter how many times you dream about your wildest desires we often wake up right before things get really juicy ! However on occasion I have had the feeling being very much in control my dreams. Like a movie director or those dudes in the movie Inception, it felt like I could simply think about a wall, a river or a thin crust pizza and it would magically appear ( no anchovies please ). After mentioning this to a friend of mine, he lent me a book about lucid dreaming which detailed the process of being able to fully control your dreams at will ( after considerable training and effort ). I imagined with lucid dreaming one could experience any kind of fantastical hallucinogenic visions one could possibly think of. The psychedelic world would be my psychedelic oyster. Unfortunately after a few failed attempts I gave up on the idea. That's the problem with non-drug induced hallucinations I guess - if it doesn't work first time it's difficult to keep trying because you have that bias of having experienced instant gratification through the entheogenic and the synthetic methods of self exploration. Despite my own failed attempts to create a practice of full dream control I haven't given up on the idea as a viable means of hallucinating without drugs. Some people argue the point that Lucid dreaming can not be called a hallucination as they have strict definitions on what constitutes a hallucination. That is, in essence, that it should be experienced during a non-dream, awake state. 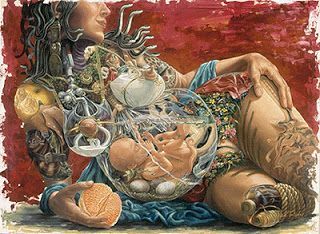 Part of me agrees and part of thinks that if you are lucid dreaming and controlling your dreams, are you really asleep ? Which also leads to arguments about what really constitutes sleep and pretty soon it's, as they say in Discworld "turtles all the way down". If you can't be bothered with lucid dreaming but would still like to make your dreams a little more surreal then look no further than cheese. Stilton cheese to be more precise. 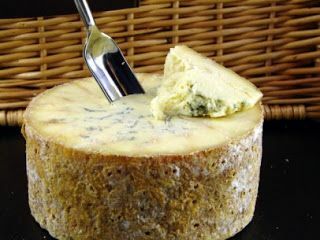 A 2005 study conducted by The British Cheese Board concluded that close to 80% of men and women reported strange and vivid dreams when they ate Stilton cheese 30 minutes before bed. That's quite a significant figure. A selection of different cheeses were provided for the research with the Stilton coming out on top in the number of reported fantastical dreams experienced by the 200 participants in the study. I have also experienced such dreams after eating blue cheese. It does have a very high amount of calories and the stink it leaves in your mouth might melt the bristles off your tooth-brush so it's not something I would eat regularly. Some people point out that cheese contains high amounts of the amino acid tryptophan which can relax the body and mind and may be the reason for "cheese dreams". I doubt that however because other foods have just as much or more grams of tryptophan per 100 grams of food. Eggs and soybeans for example are higher in tryptophan than cheese and yet I don't recall ever having "egg dreams" nor "tofu dreams". Another possible reason for cheese dreams I have heard is that cheese takes a long time for your body to digest so if you eat it before bed then your brain is too active at a time when it should be resting which results in vivid dreams. This also sounds like hocum to me as I regularly eat before bed ( as my waist line can prove !) and again never experience the kind of dreams I have after eating cheese. Does cheese have some hidden chemical that is secretly effecting our nightly visions and creating a natural way to get high ? Maybe, but science hasn't provided us with an answer as of yet. Nutmeg isn't the most useful of spices. Apart from fruit pies and eggnog at Christmas time, most of us rarely touch the stuff. So it might come as some surprise that nutmeg has another use, one which is just as likely to make you feel as good about yourself as the festive season. Eat nutmeg, get high ! 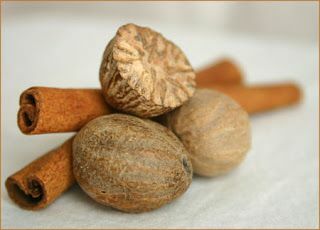 Nutmeg contains small amounts of a compound called myristicin, which is chemically similar to mescaline, the active compound in the peyote cactus. The downside about this legal high is that you need to consume an enormous amount of the stuff to have any noticeable hallucinogenic effect. In the depths of my record collection is a treasured copy of the soundtrack to the 1980 movie "Altered States". The movie which stars a young William Hurt and Richard Dreyfus details a Harvard scientist's search for an out of this world spiritual experience through the use of an isolation tank. In the end the guy gets more than he bargained for. I won't give the plot away here as I think it's kind of a cool movie and well worth watching is you are interested in exploring inner space. If you have never heard of an isolation tank ( sensory deprivation tank ) before, it is a light-less, soundproof tank inside which subjects float in salt water at skin temperature. They were first used by John C. Lilly in 1954 to test the effects of sensory deprivation. Such tanks are now also used for meditation and relaxation and in alternative medicine. Isolation tanks use the idea of sensory deprivation ( the removal of one or more sensory stimuli ) to promote hallucinatory images within the mind. Users reports are mixed after the first experience however if they persist in their isolation tank usage and are able to "let go" then many have reported the most fantastic journeys. I would love to try one some day but sadly there aren't any available in my home town. Maybe I should make it part of a holiday in another city some time... a trip within a trip ! Over the past 20 years an increasing amount of research has been conducted into magnetic fields and their influence on the human brain. 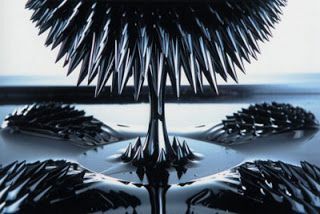 Apart from obvious medical applications that might arrive from such research there are also a number of more alternative research applications that are hinting at magnets being responsible for a number of hallucinogenic states. Some scientists are suggesting that natural magnetic fields may be the reason why people see ghosts or why groups of people have shared UFO or alien sightings. Science has proven that magnets do indeed create hallucinations - colorful lines and geometric patterns - akin to what people experience when under the influence of hallucinogens such as psychedelic mushrooms, LSD or peyote cactus. While I don't know of any devices for tripping on magnets at home there have been a number I personalized size devices created by people in the past. These are typically made by converting bicycle or football helmets into a comfortable magnet housing with gauges for field strength etc. One such device that captured the public's imagination was the God Helmet. 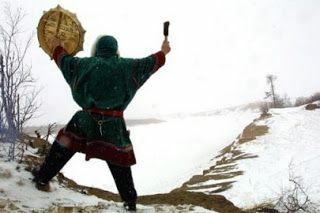 Tribal drumming is a traditional ritual technique used by shamans to enter the spiritual world. The practice is thousands of years old and is passed down the generations as a way of keeping in contact with their ancestors or seeking healing advice.